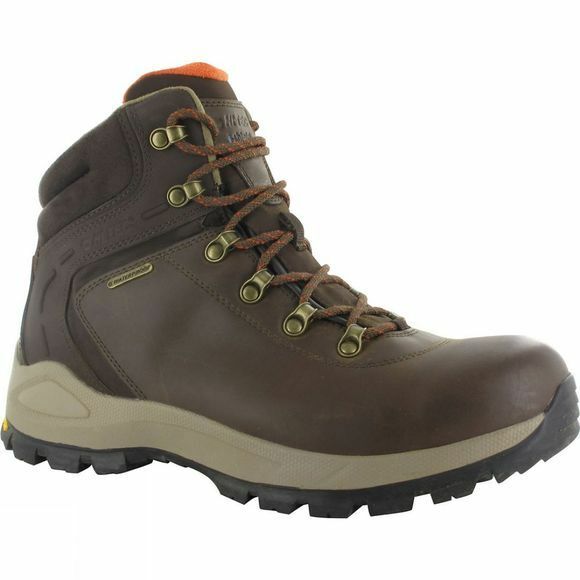 The Mens Altitude Alpyna Midi Waterproof Boot from Hi-Tec are highly durable and exceptionally comfortable. They have a premium leather upper for durability and comfort. This is coated in the invisible i-shield technology which repels water and dirt to prevent stains and keep the boots looking newer for longer. A Dri-Tec waterproof and breathable membrane keeps feet dry while the rustproof hardware lacing system provides a secure fit. A nylon fork shank adds support and an improved gait. They are also exceptionally comfortable, with a soft micro-fleece moisture wicking lining and slow recovery foam Ortholite Impressions insole for increased support and superior underfoot cushioning comfort. The impact absorbing EVA midsole adds further cushioning, while the high traction Vibram rubber outsole featuring Pro-Tec Comfort protects the midsole and improves stability. They are ideal for those who love to tackle the trails whatever the weather.